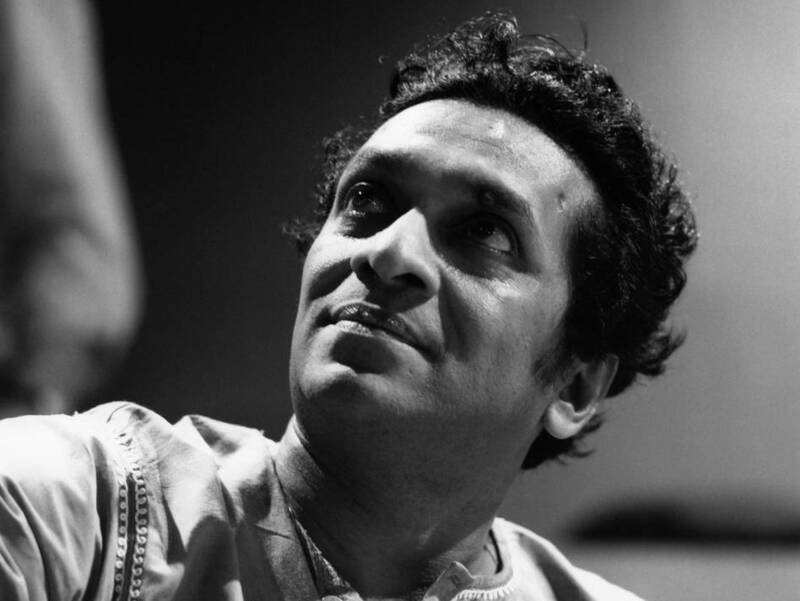 Ravi Shankar was already famous before the Concert for Bangladesh, but one must admit that the event helped make him more popular in the western world. That night, he took the stage and proceeded to spend roughly three minutes tuning up his sitar. When he was finished tuning, the crowd gave him a standing ovation. That was how little (some western) people knew of that style of music. Shankar was first married at age 21 to a fourteen year old girl named Annapurna Devi. I’m assuming that the marriage was arranged, but it did last over twenty years. They produced one son. That son also played sitar. His son died in the 1990’s. Shankar also had two daughters who both went on to musical fame. Anoushka Shankar was born in 1981, and went on to play sitar. She is well known for her work in classical Indian music. The pair did play together from time to time. Ravi is also the father of Norah Jones. Back in the late 1970’s, Ravi was still married when he met Sue Jones, a concert promoter. They went on to produce one child, and named her Norah. Norah went on to win a number of Grammy awards in the same year that her half sister Anoushka won a single Grammy for her work in the field of World Music. As the decades passed, Shankhar stayed active in the world music scene. He did all this while taking care of a heart problem that first surfaced back in 1973. He produced an amazing musical score for the movie Gandhi in 1982. He became a member of the Indian parliament in 1992, and that same year he underwent heart surgery. As the 1990’s came to a close, Ravi was performing over two dozen shows per year. He spent the next ten years teaching his daughter Anoushka how to play the sitar, and toured with her off and on. He made hints of retiring in 2008, but was compelled to play again in 2011. He was last on stage just this past November, when he played along with Anoushka in California.